This is actually pretty common — and so easy to prevent. Early in the morning last Thursday, police officer Josh Henderson got an unusual phone call. 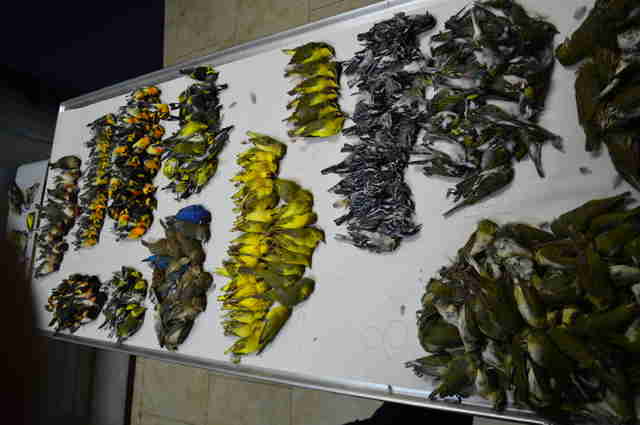 Someone in Galveston, Texas, had found a number of dead birds scattered around a city building. But when Henderson arrived at the building, nothing could have prepared him for what he found. 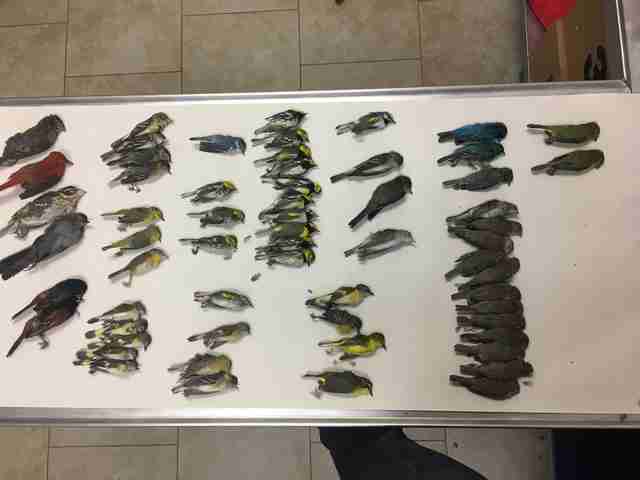 It wasn’t just a handful of dead birds, but hundreds of them — 395, to be exact. 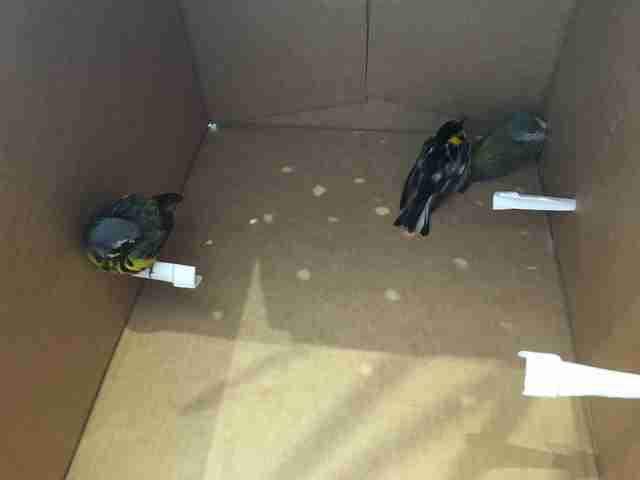 There were only three survivors — two stunned magnolia warblers and one Nashville warbler, who were taken to the Wildlife Center of Texas for treatment. So what happened to these animals? Sarah Flournoy, program manager for Houston Audubon, a conservation organization in Texas, told The Dodo that they probably died because the building had its lights on at night. 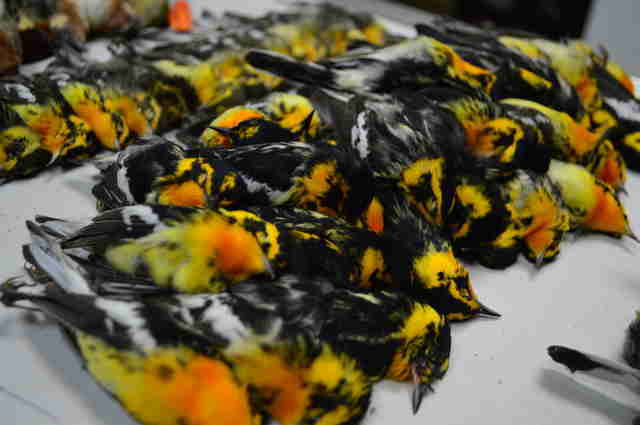 The lights are what drew the birds to the building, but it was glass windows that ultimately killed them. 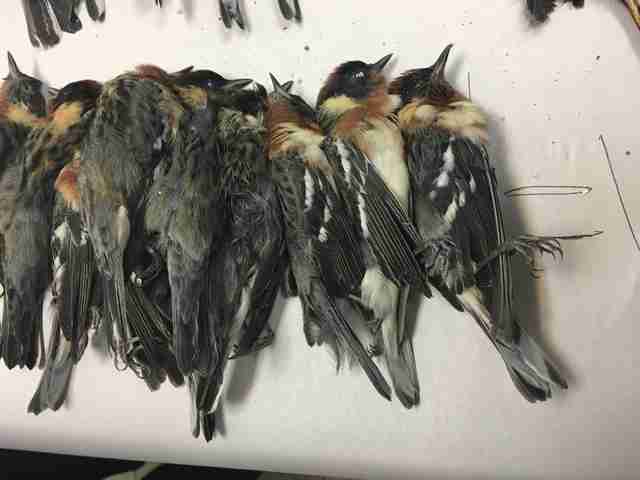 Window collisions don’t just happen at night — they can also happen during the day, and these accidents are responsible for innumerable bird deaths. 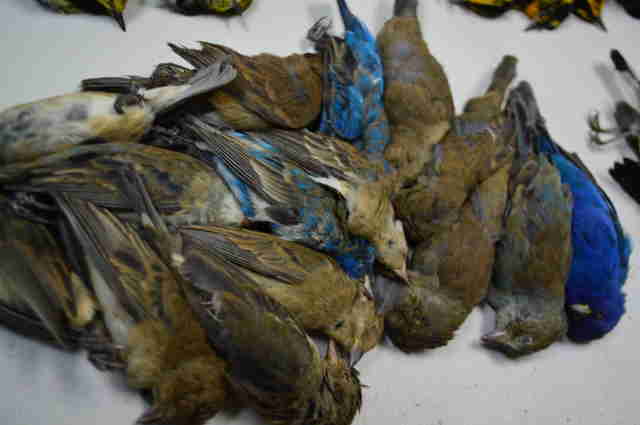 In fact, it’s estimated that up to a billion birds die after crashing into windows each year in the U.S. 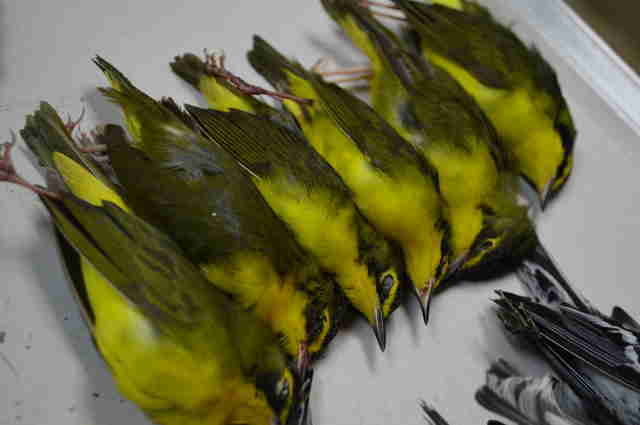 But there is a way to help prevent these kinds of collisions — decals can help birds recognize that a window is a hard surface, and stop them from trying to fly through it. 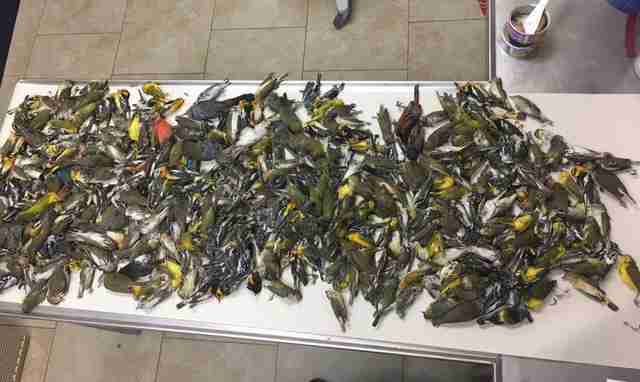 Despite the enormity of the problem, it’s still quite unusual for 395 birds to die in one night in the same place. In addition to the lights, Flournoy believes the stormy weather that night might have contributed to the birds’ disorientation. Most of the 395 birds were different kinds of warblers, but there were also buntings, orioles, grosbeaks, tanagers and other species, Flournoy explained. One thing all the birds had in common is that they’re migratory, according to Flournoy, and they were probably flying from Central or South America back to their nesting grounds. 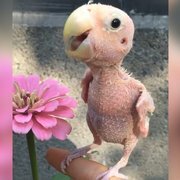 Unfortunately, the birds never made it home. While it would be easy to place blame with this one building, Flournoy pointed out that many buildings keep their lights on at night, which could create issues for birds under similar circumstances. To learn about how you can help make your community more bird-friendly, you can get involved with Audubon’s Lights Out program.